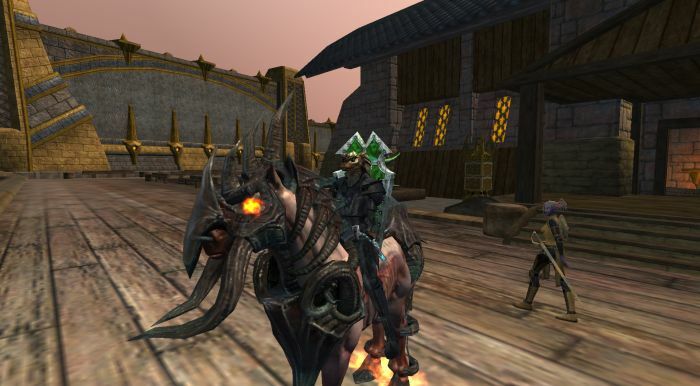 Remodeled Starter Cities #EQ2 #EverQuest2 – Nomadic Gamers, eh! I really like the newly designed Freeport. It takes a bit of time to get used to it, especially since we’ve all gotten used to having to zone from one section to another, but the transition was smooth and it’s much easier to get around now. The newly designed Qeynos is in the works and should be out when the next update goes live (I believe, I could be wrong). I don’t know that I have any characters who even live in Qeynos any more, but I’m sure I can find one or two to use to explore the area. Between your old posts and Tipa’s, the wife and I came over to try some EQ2. We are just making our way through Qeynos for the first time, looking about and running through the quest lines before they go. Neat stuff!